In most major cities, taxis don’t really get much love or affection – that’s why the phone app Uber is so popular now. But then most cities aren’t like London—a city that loves its iconic black taxis and appreciates the work it takes to learn The Knowledge (the name for the training all London Cabbies go through). I’ve been riding in London taxis for more than 15 years, and every time I’m in London, I immediately feel at home. Drivers of Black Taxis are generally nice, know their routes, and keep their cabs clean. Over the years, I’ve had many lovely adventures in taxis. 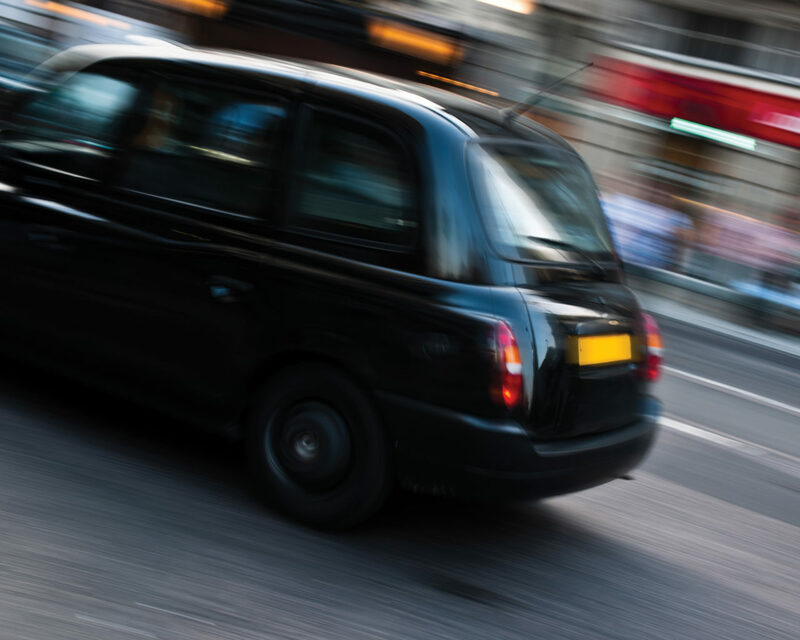 Despite the love and affection, many people have for black taxis, the future of the black taxi industry is uncertain as the London Cabbies face changes they weren’t prepared for. 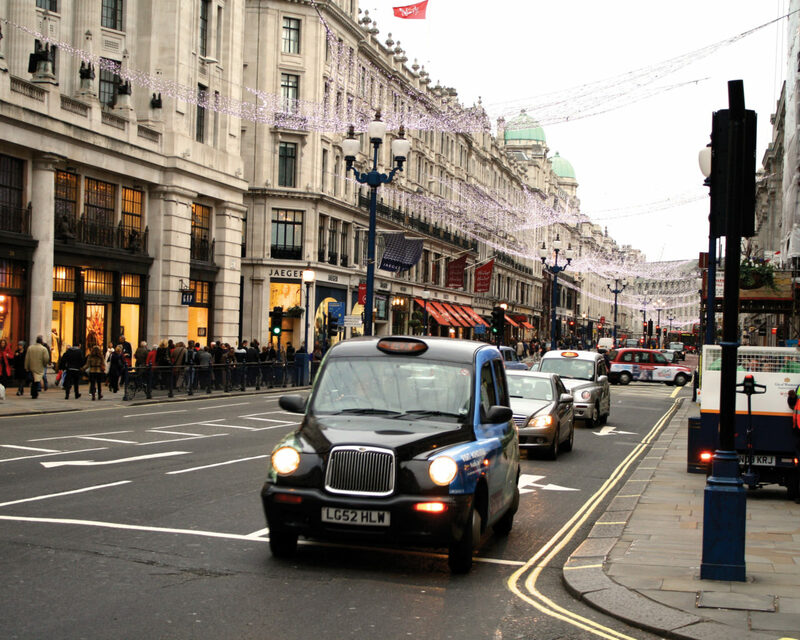 I don’t remember my first black taxi ride, but it happened sometime in the summer of 2001 when I traveled to London for the first time with my mother. There is one experience from that trip that really stuck out for me and endeared drivers of black taxis to me. As it was our first trip to London, we wanted to be sure to see and experience a lot of culture. We discovered that while we were there, there was a concert at the Royal Albert Hall we wanted to see. I can’t recall the theme, but I know it featured Tchaikovsky’s Violin Concerto (my favorite piece of classical music). The concert was fantastic, but it ended very late. Being new to London, we still didn’t know our way around, and from our limited knowledge, we didn’t think we could get the Tube back as we didn’t know where a station was (oh, the days before smartphones). We saw crowds of people head for night buses, but we didn’t know what the routes were, leaving us with no idea what bus to even take. Our hotel was directly across Hyde Park, so we thought we could walk it. Turned out the park was closed for the evening; although, even if it was open, it would not have been a good idea for just the two of us to walk through the park in the dark. We stood around and waited for a Taxi. We stood for quite awhile and started to get annoyed that no taxis were arriving. Surely, I thought, they knew there was a concert this evening people would have to get home from. We didn’t know the neighborhood at all, and all we wanted to do was get back to our hotel. We started walking, hoping we would have better luck finding a taxi on another road. I was only 17 years old at the time and still had a lot to learn about how the world works, so both my mother and I got increasingly worried when we could not find a taxi. Eventually, we were able to find a taxi whose driver was on duty, and he took us back to our hotel. He was incredibly kind during our ride back to the hotel. 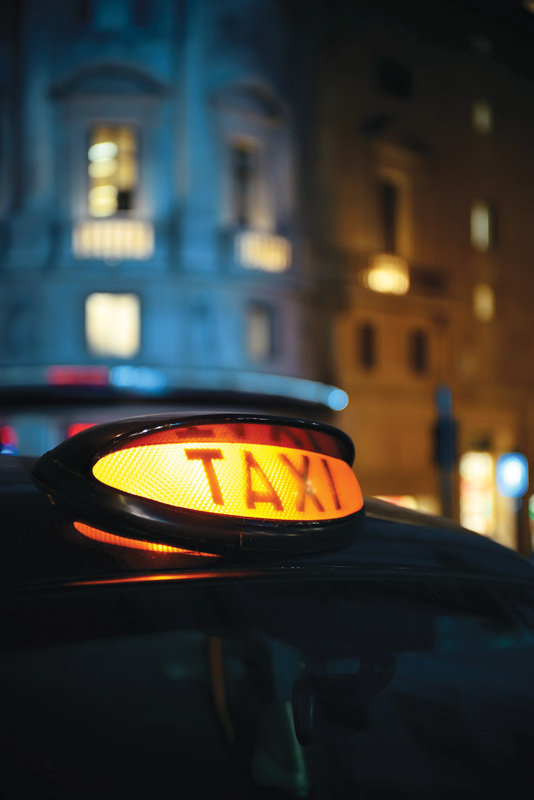 As many of you will note – a taxi ride from one side of Hyde Park to the other is not cheap. When we arrived at our hotel, we were so happy and relieved to be back at our hotel, we gave him a very generous tip that worked out to be more than our taxi fare. “Are you sure?” he yelled as we walked away. Now, we know tipping is rarely something you have to do in London, but back then we thought it was a suitable thank you for picking us up in an unfamiliar neighbourhood and getting us safely back to our hotel. He couldn’t believe we would tip him so much. 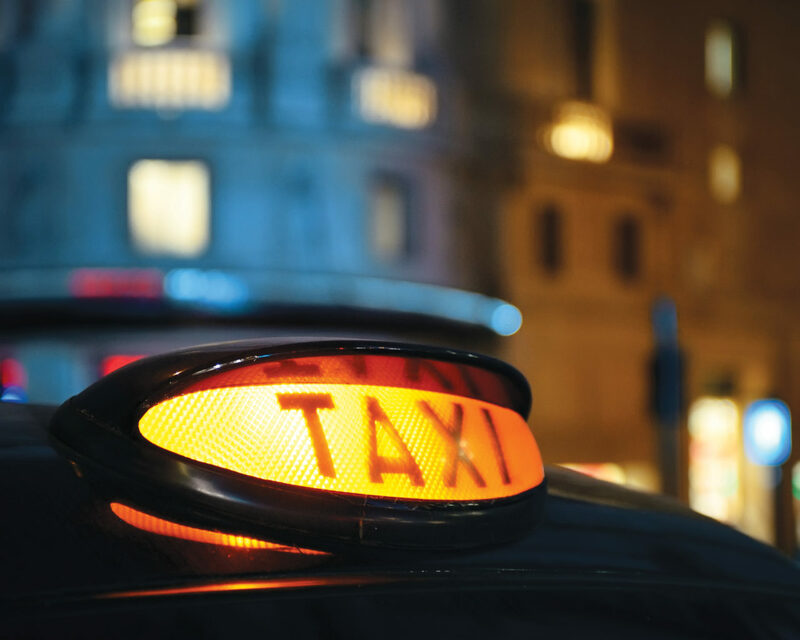 If you do tip a cabby, the general rule is to merely round up to the next pound. From then on, we always felt safe getting into black taxis. Having only ever ridden taxis in Chicago (which are terrible), it was a relief to have such a well-educated taxi driver industry. Many people don’t know it takes drivers nearly three years to learn how to navigate London’s confusing spaghetti noodle road layout. They call it The Knowledge and it’s been scientifically proven that as potential Black Cab drivers learn their trade, the part of their brains responsible for mapping increases in size. 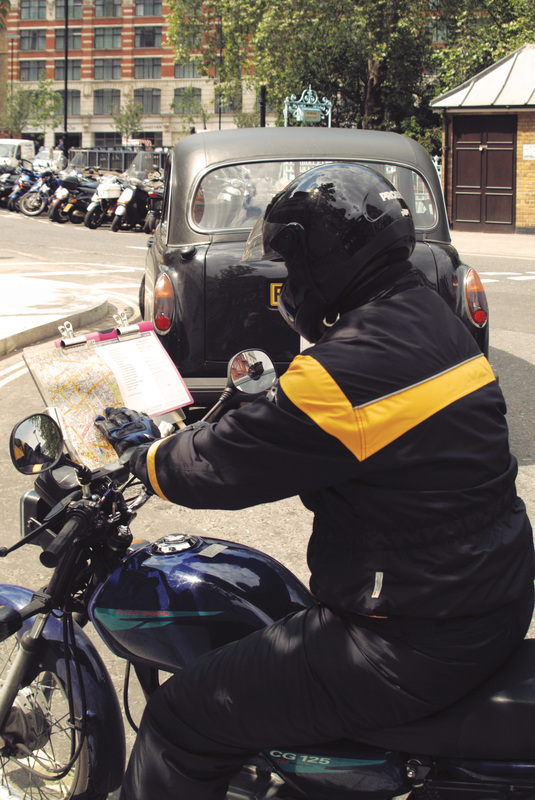 Drivers of London’s black taxis must memorise every road, attraction, hotel, and monument in London while being able to navigate between them at any given time. It’s a massive commitment on the part of the drivers, but as far as I know, most cities do not make their taxi drivers go through such a grueling course. 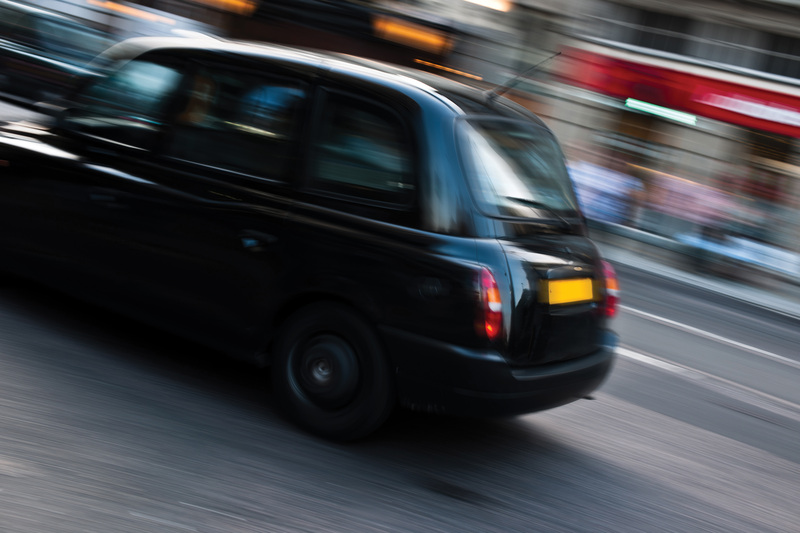 Black taxis are heavily regulated (and many drivers may agree that they’re a bit too regulated) to protect the safety and pocketbooks of their passengers (rates in all black taxis are the same in London). There is another class of London taxi drivers who aren’t regulated and don’t have to go through as much rigorous training: Mini-Cab Drivers. Many years after our first positive adventure with a taxi driver, I was traveling to London for the first time with my then girlfriend (Spoiler: She’s now my wife). I’d planned the trip for quite some time, and I had a huge surprise in store for her. I was going to whisk her to Paris for the day (she had studied in France and missed it) where I would propose to her. This was before High Speed 2 made the Chunnel journey about two hours. Back in 2004, it took almost three hours to ride the train from London through the Chunnel to Paris. This meant that we had a very early morning to make sure we made our train on time. We had to wake up at 4:00 – which is quite early, especially when you’re on vacation and nervous about asking a woman to marry you. We walked from our hotel towards the Tube station, and when we got to the door, we discovered that the station was closed. This was the moment we learned that London’s Tube network does not run 24 hours and, in fact, closed at night (as of 2016, there is now a limited Night Tube service). It doesn’t reopen until 5 a.m. The problem was we needed to be at Waterloo to catch our train to Paris and we could not walk it (this was before the Eurostar moved to St Pancras). We needed a taxi. There were not a lot of taxis around at 4:30 in the morning. So, with the clock ticking until our train left without us, we started walking, hoping we could find a taxi. When we got a few hundred feet from the Tube station, a man sitting in a silver car with a cigarette hanging out of his mouth tried to get our attention. “Need a taxi?” he asked. We turned to him and thought we were saved. “Well, I’m a taxi, get in,” he said. Something wasn’t right. It was rather odd that he was just sitting on the side of the street. He wasn’t driving a typical black taxi cab—it was a silver passenger car. I did not see a taximeter. And in the dark of 4:30 a.m., the man looked rather scary. We declined his offer and continued walking until we finally came across a black taxi who whisked us to Waterloo, offering us something of a tour of London’s landmarks along the way. This was the first time I heard Buckingham Palace referred to as ‘Buck House.’ We learned later that the man we ran into was probably a mini-cab driver. Mini-cab drivers are not allowed to pick up passengers on the street; they can only pick people up if it has been scheduled in advance. Mini-cab drivers don’t go through the same training at Black Taxi drivers do (if they go through any at all). They rely on GPS to get where they’re going (which is not a perfect solution in a country like Britain where the roads never make any sense). They also charge higher rates. More than likely the man who picked us up would have somehow fleeced us in some way. Thankfully, I felt something wasn’t right, and we went on our way. However, it was still scary. When we returned from Paris late that night, we learned about a new taxi phenomenon we hadn’t learned of before. The Taxi Rank. When three hundred people from an international train are deposited into a train station at 10 p.m. at night, they all make a run for the Taxi Rank where, hopefully, there are just as many taxis waiting to take them where they need to go. The British have had a long time to figure these things out, so there are guidelines throughout the station that lead you to the rank. What the guidelines don’t tell you is how long the line is when you get there. We couldn’t believe how long we had to wait in line for a taxi, and admittedly, after spending all day in Paris and being exhausted from events of the day (the aforementioned proposal), we were in no mood to wait. But we ended our day as we began it, ferried to our hotel by a Black Taxi driver. You can always get the pulse of London by talking to cabbies. Some love the city they live and work in, some hate it (and won’t hesitate to tell you). Many will happily talk about politics or at least ask you what brings you to London. 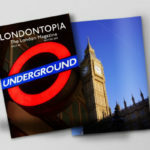 Most of the time, they’re curious to know what Americans find so fascinating about London. Most cabbies are usually polite and happy to talk. Occasionally, you’ll get one who doesn’t want to chat, and that’s fine. We’ve even come across a very rare sight in the male-dominated London taxi trade – female Black Taxi drivers. There was one time when my appreciation for Black Taxis failed me. Back in 2008, Mrs. Anglotopia and I were in London for a quick visit because I had an interview about a possible job with a company based in London. It was an opportunity that would require us to relocate our entire lives to London–something we both had wanted to do for a long time. We traveled over and settled in, and on our first full day there, I put on my nicest suit and headed to the place where I was going to be interviewed. To keep my suit nice and pressed, I wanted to avoid the Underground. It was July, and the Tube is usually very hot in July. I didn’t want to arrive drenched in sweat, so I hailed a taxi. He pulled up next to me and rolled down his window. “Can you take me to Tooley St.?” I asked. “I need to get to Tooley St.,” I said expecting him to nod and signal me to get in. He looked at me with a quizzical look (I’ll never forget it), and he drove off as fast as he could without a word. I stood there in my nice suit watching the taxi that should be taking me to my dream job interview drive away. I could not believe it. I don’t know what I said wrong. Perhaps the driver didn’t know where it was and didn’t feel like figuring it out. Perhaps he didn’t want to drive that far. Perhaps he didn’t want to cross the river (the interview was in Southwark). I don’t know, but it’s bothered me since then that he just drove off. That was the first time I got slighted by a taxi driver and thankfully it was the last. I eventually found another taxi; the driver was very friendly and knew exactly where I needed to go. I arrived for my interview sweat-free. I was eventually offered the job, but ended up having to turn it down (that’s a long story for another day). Vintage taxi in street in London at night. Many drivers of Black Taxis have hobbies outside of work; sometimes these elite cabbies even a second job. Because drivers must have an encyclopedic knowledge of London streets to pass the “Knowledge” exams, many cabbies end up becoming amateur historians. I’ve been in quite a few cabs where the driver was more than happy to wax historical about something or other. Sometimes, this is very welcome. Sometimes, like when you’re wrestling with two kids under age 3 you don’t quite appreciate it as much. 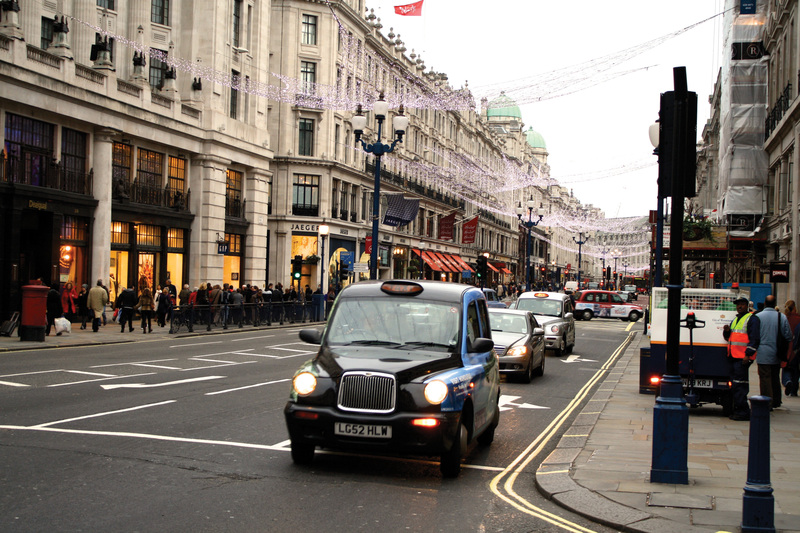 Back in 2013, the Anglotopia family spent a week in London before the Christmas season. It was a magical time (something we can’t wait to do again); there’s nothing quite like Christmas in London. On one of our last days, we decided to spend the day out and visit the Imperial War Museum, which was something we’d been meaning to do for years. We took the Tube out to it and then walked to the Museum. Having never been to Lambeth before, we were astonished at how far the museum was from the nearest Tube station. Short walks become much longer when you’re pushing two strollers and all the attendant baby gear. Destinations south of the River Thames have always been rather underserved by public transport, and that was a lesson that was to us reinforced that day in London. We greatly enjoyed our visit to the Imperial War Museum but enjoy isn’t quite the right word. The kids loved it. There are many wonderful displays about Britain’s war history—some fascinating, some downright terrifying (the Blitz Street recreation requires a sedative after experiencing it). We enjoyed a nice lunch with the kids, exited through the usual gift shop, and found ourselves standing on a street corner in Lambeth pondering the long walk back to the Tube station. We simply didn’t have it in us that day. Luckily, a Black Taxi drove right by, and we hailed him. 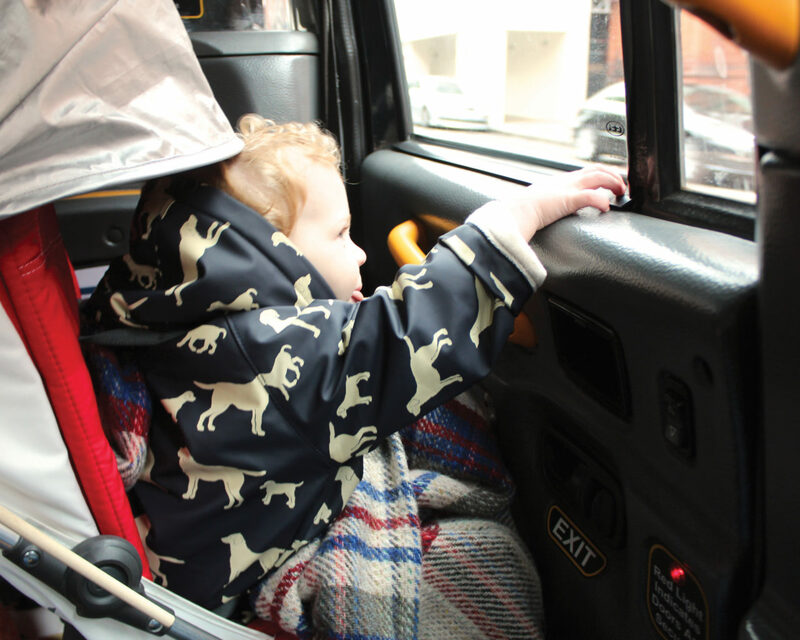 I will always remember this as one of our best experiences in a taxi: The driver was very friendly, there was ample room inside for our strollers and baby gear, and the whole family sat comfortably. We knew we were in for an expensive cab ride back to our rental flat so we sat back to enjoy the London scenery as it went by. Then the cabby started talking. Turns out, he was a bit of an amateur historian. He proceeded to give us a guided tour all the way back to our flat. Georgian building this, Victorian event that. It was lovely. 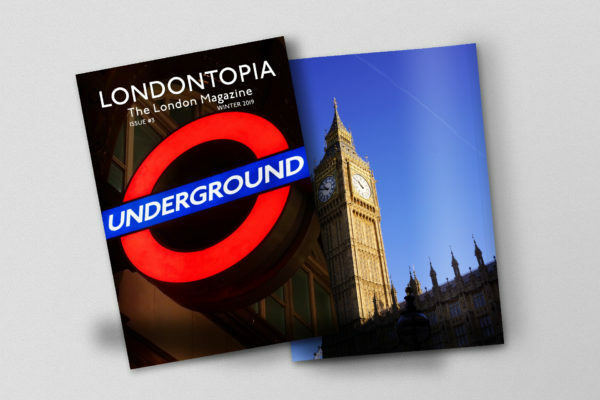 Being a writer, who makes his living writing about London and Britain, I was familiar with much of what he had to say, but I still learned quite a bit. It was nice to sit back, relax while the kids nodded off, and get a guided tour of London. And I should add, his history lesson did not alter the correct route in anyway—another hallmark of the London Cabby. They will always pick the quickest route. The usual custom is to tip a London cabby up to the next pound, but we were more generous that day as it was such a lovely ride. London can sometimes be a city of moaners (the British call is whinging). They moan about everything: the skyscrapers, the property prices, the government, motorists complain about cyclists, and cyclists complain about motorists. And yes, Londoners even moan about their taxi drivers. They moan about how expensive cabs are, how slow cabs are when they get stuck in traffic, (and then moan about how expensive cabs are as the taximeter goes up slowly sitting in traffic), they moan about taxi drivers who are too friendly and won’t shut up, they moan about taxi drivers who are unfriendly and don’t talk at all, they moan about any that dares to share their political opinions (and oh my, do cabbies love to moan as well if you they have the opportunity). Many would say that this is why apps like Uber and Lyft have become so popular in London. It allows people to get picked up by something that’s like a taxi but can cost a lot less. But you know what? London’s legion of Black Taxi drivers are always there. They know their routes, and they have to deal with an ungodly amount of ill-will towards them (not to mention drunk passengers, bloody passengers, and the occasional birth on the side of the road). Uber drivers and minicab drivers don’t have the knowledge of London that Black Taxi cabbies have. They never will. Remember: You get what you pay for. Now, Londoners moan about Uber drivers that don’t speak English, urinate in people’s front gardens while they wait for jobs, don’t know the routes and rely on GPS (which can quite often be wrong). So, it’s not surprising that London’s Black Taxi industry isn’t going anywhere. The iconic Black Taxi isn’t just a ride; it’s also the office of 30,000 small business owners in London—the drivers themselves. The Hackney Carriage—as they were called at first—is a very British invention. Many are still made in Britain in fact (despite being owned by the Chinese now). 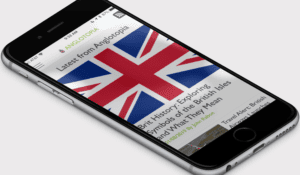 It’s a symbol that’s recognised the world over—a sign of Britishness. 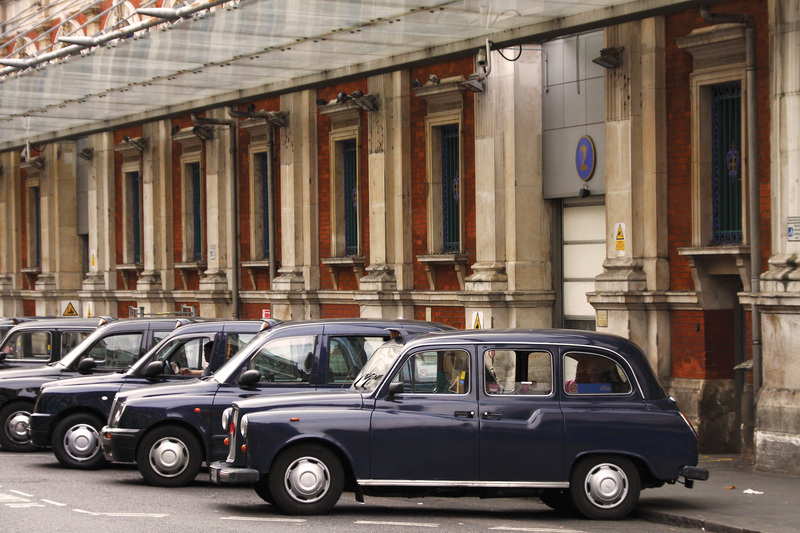 Most modern London taxis are made by the London Taxi Company, founded in 1899. Ironically, they’re not built in London but, in fact, are manufactured in Coventry. The taxi has had to adapt itself to the modern age as the years have gone on. There are many rules that dictate the design of the taxi as well. It must have a 25-foot turning radius; legend has it, it’s so cabs can make a U-turn at the Savoy Hotel entrance. More than 130,000 London black taxis have been produced at the London Taxi Company’s Coventry site over the past 60 years. Annual production averaged between 2,000 and 2,500 units per year. 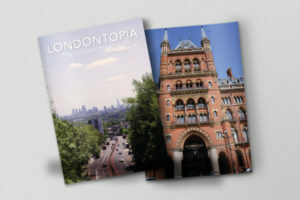 Around two-thirds of production goes into London via a dealership in Islington while the rest usually enter service in British cities that have adopted codes similar to London’s. As part of the conditions of carriage, taxis must not be older than 15 years, so there’s always a strong market for new taxis. 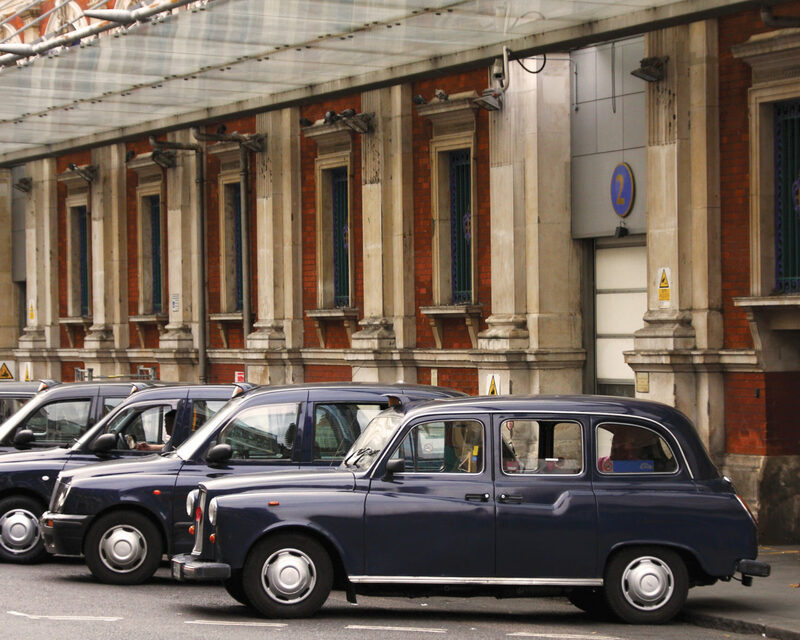 The London Taxi Company’s new Chinese owners, Geely, have big plans including a new plant. They also plan to begin marketing the taxi abroad as a British icon, so we may begin to see Black Taxis all over the world. Mercedes-Benz also manufactures a cab, the Vito London Taxi, released in 2008, which is a people-carrier vehicle based on a van. It should also be noted that they’re not always black either—most are, but colors can vary. Some have also become mobile advertising billboards and find themselves covered in ads. There are always a number of people learning The Knowledge. While there are courses in classrooms, they’re also easy to spot on the streets of London. 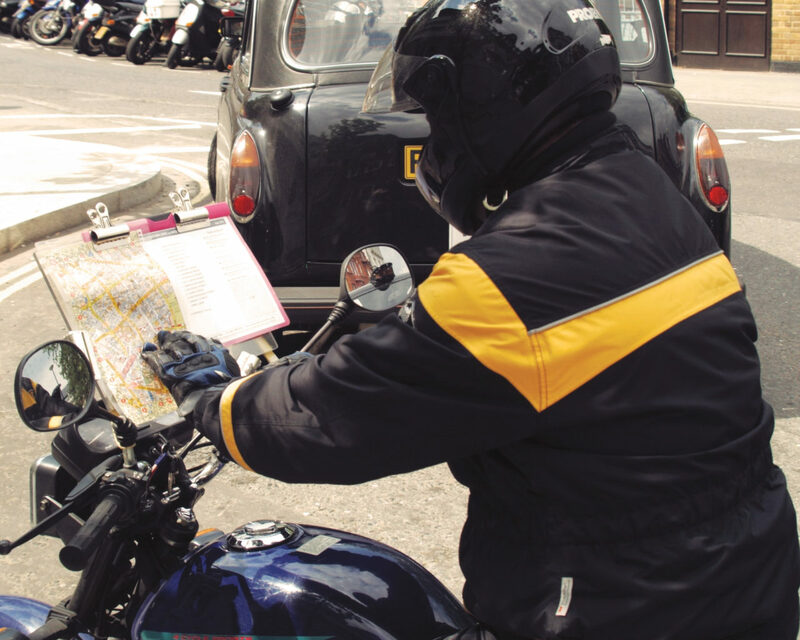 Part of their training requires them to travel on London streets on a motorbike with a map in front of them, going sector by sector, learning every single street in London. They are easy to spot, and you can see them at all hours of the day. They must learn every single street, but not only that, they have to learn all possible routes to and from that street. You can see why it take three years to complete the process. After many trips to London, it’s pretty easy to see all London’s cabbies as the same. They’re usually cut from the same cloth, and more often than not, they have a bit of an East-End/Cockney accent. Admittedly they become a bit faceless but I mean that in a good way. The faceless cabby driver of London will always get you where you need to go (unless he decides to drive off on you). Cabbies are trustworthy, and you can’t buy that kind of trust. Even in the days of Uber and Lyft, people will still remain loyal to the Black Taxi. I know I will. Black Taxi drivers are changing with the times, albeit slower than most people would like. Many now use the app Hailo or GetTaxi, which allows you to hail a taxi anywhere in London, and have them come pick you up. And crucially, these apps allow passengers to pay by credit card—a major innovation in itself. London Taxi drivers are required to take credit cards, but they all generally hate them because of the fees credit card companies charge. So, more often than not, you’ll find the card reader ‘broken’ or ‘not working.’ Hailo and GetTaxi somewhat solve this problem and make sure you always have a way to pay for your ride. I have a lot of happy memories in London’s Black Taxis. The good memories begin with riding home from a symphony concert with my mother the first time we ventured to London, and I fell in love with the city. There was riding back to the hotel after spending the day in Paris and proposing to the love of my life. The memory of my children screaming with glee over the excitement of riding in the back of a taxi for the first time still makes me smile. There was being deposited back at my hotel quickly and efficiently while I suffered through a bout of sickness after seeing a play in the West End. Most of all, I remember the sound of the diesel engine in a Black Taxi as it stops to pick you up and take you on your way to exploring London. It’s a lovely rumble. It’s the rumble of home. All cabs are now required to take Credit Cards. Thanks, again, Jonathan, for an interesting, amusing and informative column! Your writing is clear and easy to follow. Hi Jonathan, and thanks for the comprehensive piece in support of the London Black Cabbie. But, if I may, I’d like to make a couple of points. First the original Eurostar terminal was at Waterloo and not King’s Cross. Rumour has it that it was moved so as not to offend the French as Waterloo was the location of Napoleon’s defeat by the British made famous by your favourite composer Tchaikovsky’s in his 1812 Overture. Secondly, and more importantly, The Knowledge takes up to 5 years to achieve. And here is the problem, because of the lack of support by the regulator (TfL) the virtually unregulated Uber has run roughshod over the traditional cabbies. Unless something is done nobody is going to undertake a commitment that takes longer than a degree if at the end there is no income. In 10 years time London’s taxi trade will be reduced to the level you have experienced in other major cities. Yes, thank you. This incident was almost 15 years ago so I misremembered where we had to be. Yes, I’m well aware of the problem of Uber, something we tried to cover in a previous article. We won’t be using Uber – it’s terrible. Hello again, Jonathan and Jackie. Greetings from over the pond! Thanks again for another great post. A really interesting and informative read. There was a documentary on the TV over here, only a couple of weeks ago, about drivers “doing the knowledge”. They surely must have encyclopaedic memory function! It showed candidates learning the routes and also being tested at the different levels until they pass (or fail). The testers and candidates actually address each other with ‘Sir’ and ‘Madam’. As a matter of interest, you mentioned the cab’s turning circle and compared it to the width of the driveway to the Savoy Hotel. That street is the only one (as far as I am aware) in the UK where vehicles drive on the right hand side of the road. Yes, that’s on my watchlist – will watch it soon. Yes, in central London you won’t have a problem finding a taxi. Count on spending £5-£10 for short journeys – £15-£12 if you’re going further afield and if you get stuck in traffic, the meter will keep in ticking. Thank you so much for your lovely article. I try to go at least once a year (being a travel agent helps)! I’m an ex Londoner but have spent 2/3 of my life in Canada but still call London home. 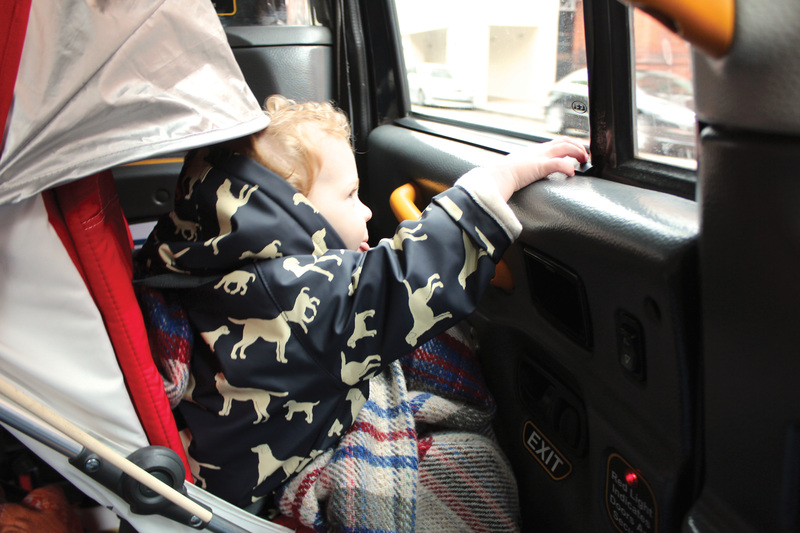 This year I went with my grandchildren (7 & 5) and enjoyed watching their excitement travelling in their cousin’s Black Cab. It’s a special city and as the saying goes “If a man is tired of London, he’s tired of Life”! I love the black cabs unlike the ones in Italy that will fight over you……and in London, if you just take the tube everywhere you start to realize how much of the city sites that you are missing so It is always worth the splurge at least a couple times on your trip. We accidentally took a mini cab once…….never again. We learned our lesson the hard way. On the flip side I love making conversation with the cab drivers….when they are feeling talkative. If you are paying attention or up early enough you will catch one of them on their motorcycles learning the streets. We went to the south side to see one of the oldest pubs in London on one trip. (Angel pub?) Anyway we had a REALLY hard time finding a taxi over there which was frustrating. When we finally got one to stop (he was going home) the first words out of his mouth was “what are you doing over here?” lol! He was the angel that took us back to our hotel. Oh & that was the time a school kid through a rock at my mom hitting her on the head as we just walked down the street. We knew it wasnt the best area to be in……..but we hat do see that pub! lol!